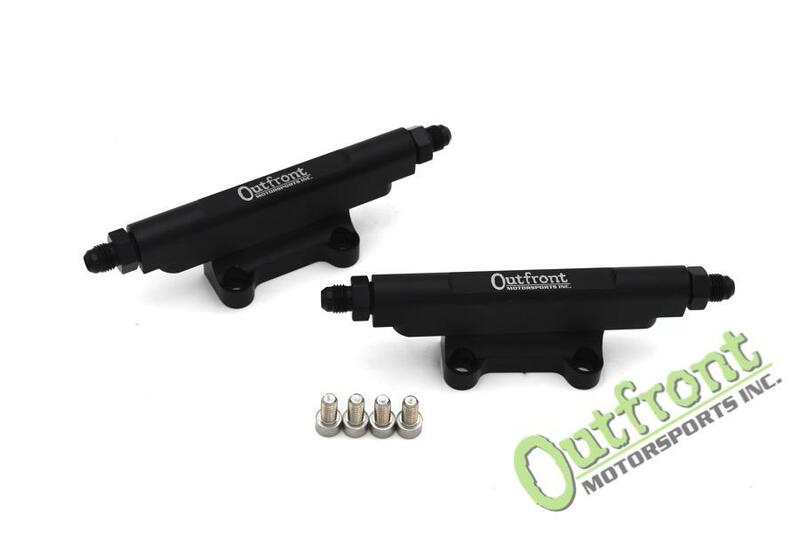 Outfront Motorsports billet fuel rail kit fits the 2.5i long runner intake manifolds with no additional adapters. This is a direct bolt on. They come anodized black and include (4) -6 AN fittings and hardware to install.